Autism Berkshire has a job vacancy for a part-time home visit support worker to help parents and carers while they are waiting for an autism assessment for their children, after they have received a diagnosis of autism or if they are in difficulties. 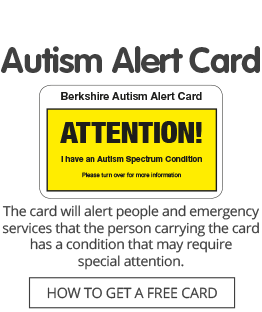 The main focus of the role will be working with families living with autism in the East of Berkshire – the Bracknell Forest, Slough and Windsor & Maidenhead areas – delivering training workshops, running support groups and carrying out home visits to advise parents and carers. The successful candidate will also be expected to respond to enquiries to our Helpline service and offer face-to-face help during drop-in advice sessions at our office in Reading town centre. This post is offered on a seven hours per week contract basis at a rate of £11.54 per hour, initially until March 31, 2020, with the possibility of renewal, subject to funding. We strongly encourage informal visits to our office, prior to application, to discuss the role. If interested in taking up this offer, please email ceo@autismberkshire.org.uk or call 01189 594 594. Applications will close at noon on Friday, May 3, with interviews taking place on Thursday, May 10.